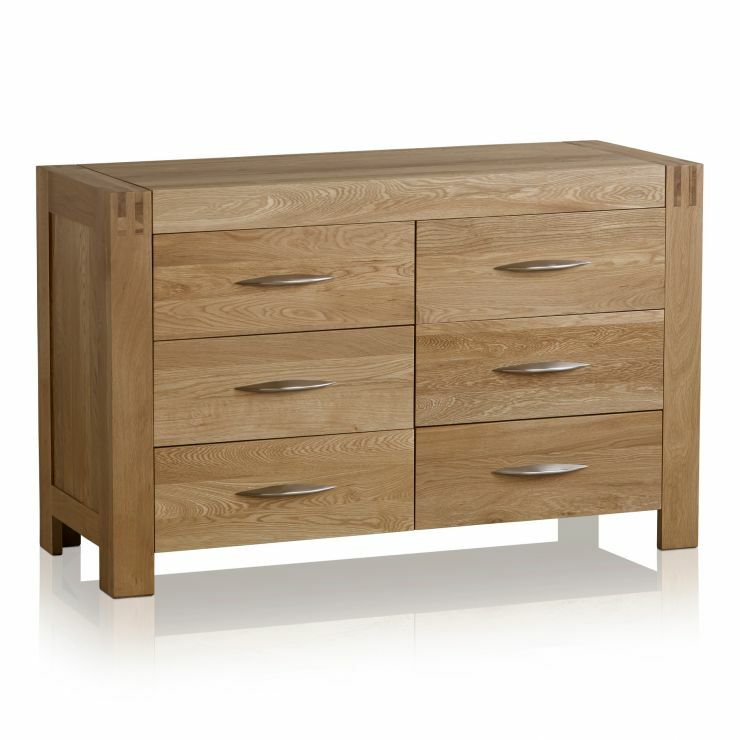 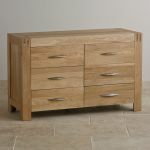 The Alto Natural Solid Oak Six Drawer Wide Chest is a marvellous storage solution from the contemporary Alto range. 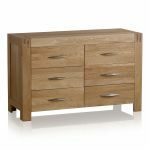 With eye catching finger joints in every corner, sleek brushed metal handles and the golden hues of solid oak, this chest of drawers will benefit any bedroom. 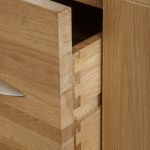 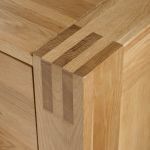 The six generously-sized drawers are put together using dovetail joints in premium grade solid oak; even the backs and bases. 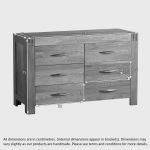 This time-honoured joint ensures the drawers are exceptionally sturdy and long lasting; ideal for any item of furniture that receives daily use such as a chest of drawers. 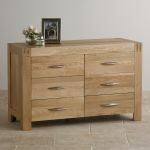 The Alto range contains many other items of bedroom furniture; make sure you take a look at the whole collection.